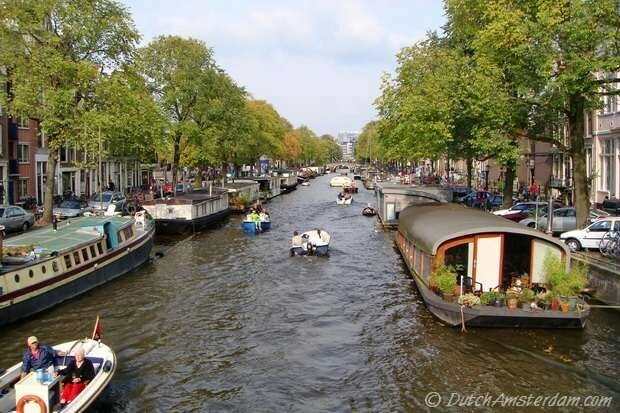 Tourists and locals alike have made a boat tour of Amsterdam’s canals a sightseeing must — one that frequently tops the list of most popular tourist attractions in the Netherlands. 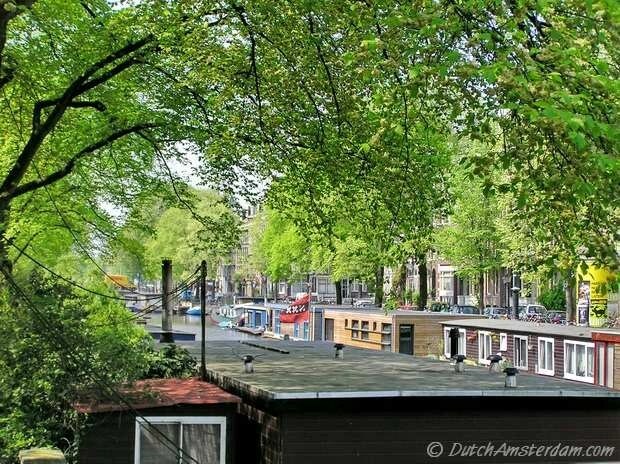 However, until recently that idyllic boat ride through Amsterdam’s picturesque canals sounded a bit less romantic once people knew that many of the city’s 3.050+ houseboats were not yet connected to the sewer system. That means waste water — from the sink, the shower, the dishwasher and, yes, the toilet — was unceremoniously dumped into the canals. But the city has been working hard to change that. In 2005 a law was adopted that made it illegal to dump untreated waste water. But houseboats were — for the time being — exempted. This was due to the fact that each and every houseboat would need a different ship-to-sewer connection, involving mandatory custom adjustments made to the private vessels. Two years later the City of Amsterdam said it would provide those ship-to-sewer connections. A study was commissioned as to how to go about doing so. As a results, various federal and local public waterworks departments set up project Schoonschip — Clean Ship — with the intention to see every houseboat connected to the sewage system by June 2017. A pilot project involving 145 vessels was successfully completed in December 2008. Since that time, 2.000 boats have been connected to the sewer system. A further 700 boats are currently going through the complicated, time-consuming process. Technicians of Project Schoonschip visit each houseboat to determine the best approach, which among other things involves determining where in the boat the pump should be installed. They then issue an advisory, as well as calendar of dates by which each step of the mandatory project must be completed. That is not as easy as it sounds, because installation of the pumps — and switching over to the new system — must be coordinated with work on the wall. Since the boat owners are themselves responsible for their part of the connection, they are provided with a €1250 subsidy each — to be paid upon successful completion of the ship-to-sewer connection. Combined with other approaches Project Schoonship has already led to measurable results. 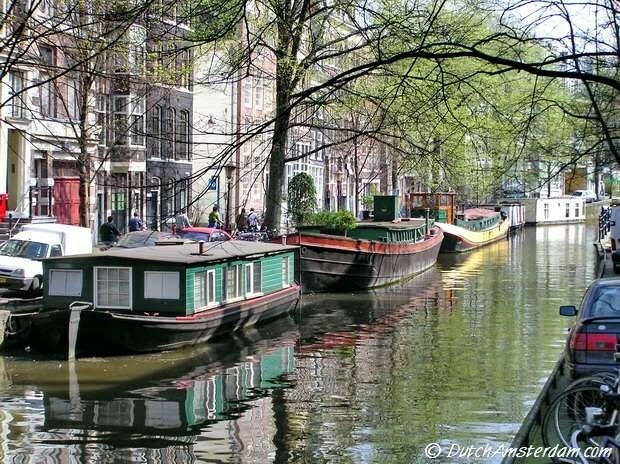 Over the years, the quality of the water in Amsterdam’s canals has gradually improved. As a result the ecosystem has benefit greatly. Many types of fish have returned — anything from crayfish to pike and Sander (pike-perch), and from carp to eel. Zebra mussels filter the water, while cladocera (water fleas) eat the algae, and are in turn eaten by the fish. In some of the canals floating platforms sporting a variety of shore- and water plants have been installed, offering shelter to coots, ducks and swans. Fish lay their eggs between the roots, and the young fish are a source of food for the grebes and herons. Theoretically you can even drink the canal water — under certain conditions, of course. Unfiltered the canal water is actually quite salty. But while the canals are not going to be a source of drinking water, the ambition of Waternet, Amsterdam’s water authority, is to eventually have the water be clean enough for people to swim in. Matter of fact, while officially the Amsterdam canals are not designated as swimming water, there is now a yearly Amsterdam City Swim event — organized as a fund raiser for research into underexposed diseases — such as Lou Gehrig’s Disease (ALS), this year’s cause. On September 8, 2.000 swimmers swam the 2 kilometer (1.24 mile) course, and the event collected a total of € 1.716.988,- for research into ALS. The third edition will take place October 7, 2014. Registration will open some time in April. Subscribe to our newsletter if you want to stay informed. For reasons that should be self-evident, swimmers are advised to get a tetanus shot, and to make sure they don’t ingest the water. But the fact that the event can take place at all is a testimony to the city’s efforts to improve the quality of the water in its iconic canals which, by the way, are listed as a UNESCO World Heritage site. This article was written by Anton Hein, shown here with his wife, Janet. 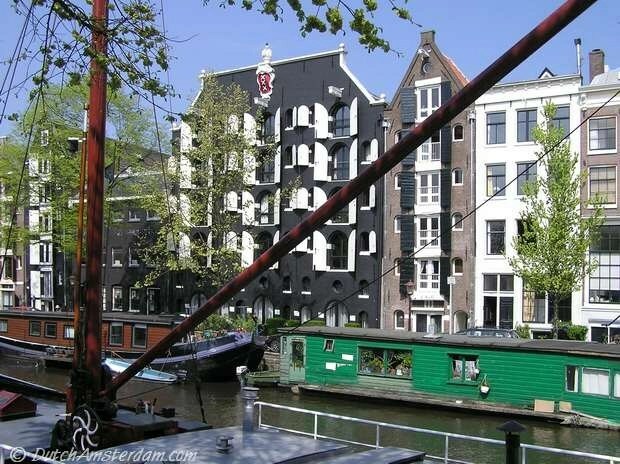 Anton was born on a houseboat in the center of Amsterdam — right across from the iconic Westertoren and the Anne Frank House. Back then cloth diapers were still washed by hand or machine (in his case in the home of a helpful neighbor ‘on the wall’).